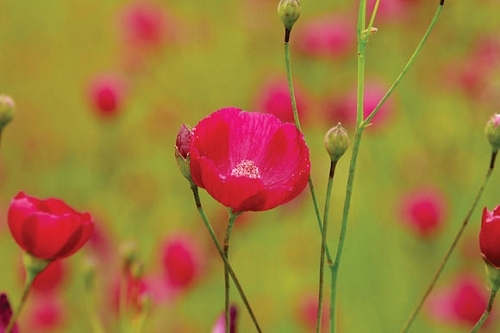 The slender, leafless stems of fringed poppy mallow make the flashy blossoms look like they're floating in air when you first spot them from a distance. This is a very drought-tolerant plant. Once established, it will have grown a long taproot, which makes it difficult to transplant. This taproot allows the plant to thrive in hot, dry conditions so it rarely needs to be watered. In fact, if the soil is too rich or moist, it may grow too much and lean over. It's fairly easy to grow from seed and has no serious insect or disease problems. 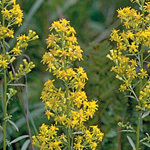 Plant it in a sunny, well-drained site along with tall, late-blooming species, and don't pamper it too much.